The Salida SteamPlant is proud to host a new series, Songs OnScreen. We invite all to take a tuneful journey each month with a performance-filled film profiling some of music’s biggest names, both past and present, or a story that is driven by the soul of the music. Monthly screenings take place the last Thursdays of each month (unless otherwise noted). A cash bar, popcorn, and concessions will be available. We are thrilled to bring you this month’s Songs OnScreen showing of A STAR IS BORN. 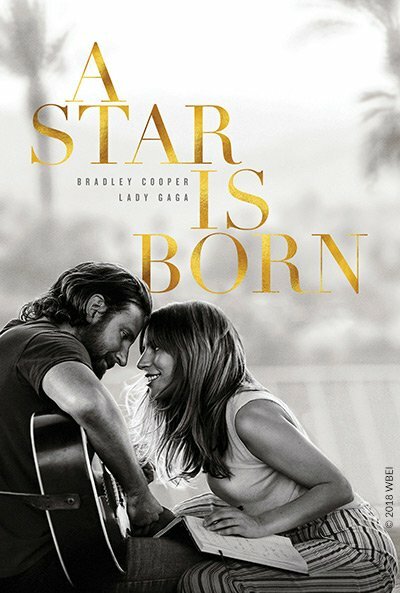 This multiple Oscar-nominated film stars four-time Oscar nominee Bradley Cooper (American Sniper, American Hustle, Silver Linings Playbook) and multiple award-winning, Oscar-nominated music superstar Lady Gaga, in her first leading role in a major motion picture. Cooper helms the drama, marking his directorial debut. In this new take on the tragic love story, he plays seasoned musician Jackson Maine, who discovers—and falls in love with—struggling artist Ally (Gaga). She has just about given up on her dream to make it big as a singer until Jack coaxes her into the spotlight. But even as Ally’s career takes off, the personal side of their relationship is breaking down, as Jack fights an ongoing battle with his own internal demons. This film is Rated R. Courtesy of Swank Motion Pictures. Tickets are available now at the SteamPlant Box Office or online here.